How to look for Google partner agencies in India? In a country of more than a billion and growing competition on every nook and corner (which we have a gazillion), it is undoubtedly an arduous task to find the perfect digital marketing partner in India. It drains you out and we get it. So, here’s a solution – look for Google Partner Agencies in India and refine the search by looking for the “Premier” badge – which essentially means they are certified hard-workers with a humungous client growth. 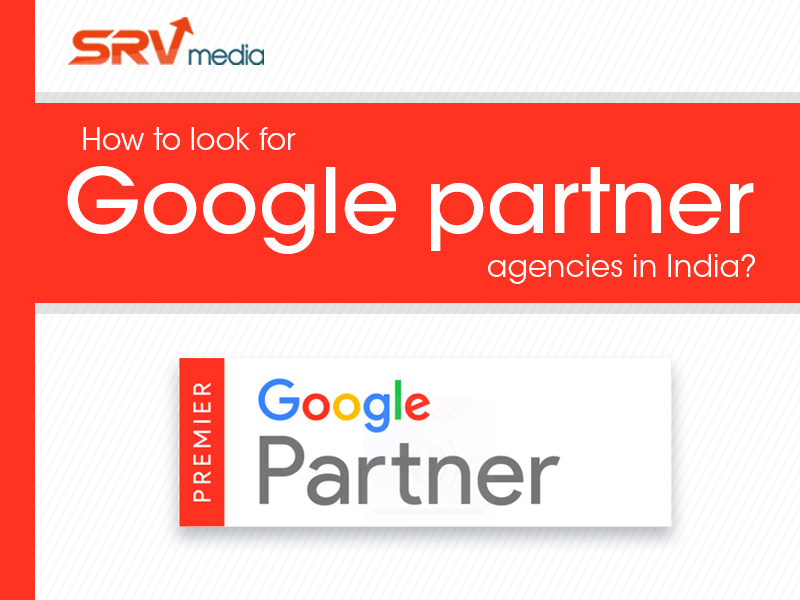 One of the only such Google Premier partners in India is SRV media. Based in Pune, handling clients from India and abroad, having expertise in Digital Marketing, Web Development, Designing, Building Mobile applications and end to end IT product solutions, SRV is your one stop shop for all your online marketing needs. This certification demonstrates proficiency in search advertising, including best practices for creating, managing, and optimizing AdWords search campaigns. Meaning, they can help you create and optimise ads that show up on Google search while also provide help and advise on key strategy and budget planning. This certification demonstrates proficiency in display advertising, including best practices for creating, managing, and optimizing AdWords Display campaigns. This means, they can help you create compelling visual ads that reach and attract potential customers. Google Analytics configuration and administration. These certifications make SRV an optimum choice for any business wanting to expand their online presence. With almost all of Pune’s elite educational institutes as their clients, it is a thriving, one hundred and fifty million rupee start-up. Not bad for a 5-year-old company, eh? So what are you waiting for? To embark on an innovation filled ride to your digital marketing success, contact SRV right away – click here! We hope you enjoyed reading this article as much as we loved writing it, do come back for more! Impressive! I really like your blog. Thanks for the post. Next story 3 things you NEED to know about content in 2018! Previous story How To Kick-start Your Brand’s Marketing : A Complete Guide!